I have loved and cherished my memories of The Original Harlem Globetrotters ever since I was a kid growing up in New York. Any time that I’d hear they were coming to town it would put an automatic smile on my face because there was nothing like watching their amazing show! All the excitement of a professional basketball game with tons of tricks and comedy, it was a class-act event that had every kid (me included!) heading home wanting to watch it again! Now, as an adult and mom, not only do I get to share in this family tradition with my son but I’ve come to realize just how much The Harlem Globetrotters have done for our communities and loving them even more now, knowing the positive impact they’ve had on so many families. That’s why I am super excited to be helping them promote their 2016 World Tour and cheering them on as they come see us in Charlotte on Saturday, March 26th! Going on 90 years of providing smiles, sportsmanship and service to millions of people worldwide, the world famous Harlem Globetrotters will bring their unrivaled family show to UNC Charlotte’s Halton Arena on Saturday, March 26, 2016, at 2 p.m., and 7 p.m., during their 90th Anniversary World Tour, presented regionally by Krew Mobile, America’s new family cell phone service. Known worldwide as the Ambassadors of Goodwill™, the Globetrotters will be giving back even more during their 90th year with The Great Assist program. Stars of the team will leave a mark in communities across North America with acts of goodwill during the tour that is set to play over 330 games in 260 cities. Tickets are now available at harlemglobetrotters.com, ticketreturn.com, the Halton Arena box office, or by phone at 704-687-4949. 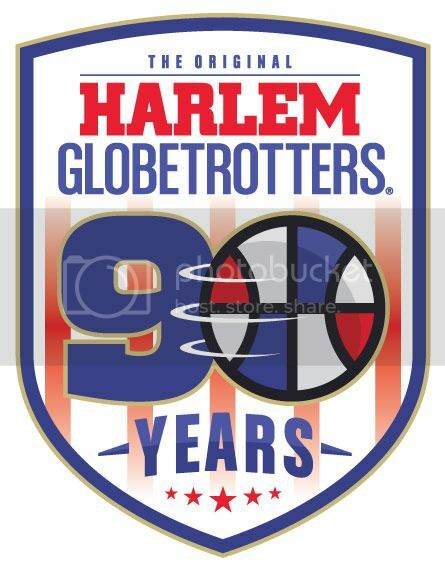 Information on group and scout tickets can also be found at harlemglobetrotters.com. The Harlem Globetrotters® are a worldwide icon, synonymous with one-of-a-kind family entertainment and great basketball skills. Throughout their history, the Original Harlem Globetrotters have showcased their iconic talents in 122 countries and territories on six continents, often breaking down cultural and societal barriers while providing fans with their first-ever basketball experience. Proud inductees of the Naismith Memorial Basketball Hall of Fame, the Globetrotters have entertained hundreds of millions of fans – among them popes, kings, queens, and presidents – over nine thrilling decades. Sponsored by World Vision, Greyhound Lines and Baden Sports, Harlem Globetrotters International, Inc. is a wholly-owned subsidiary of Herschend Enterprises, the largest family-owned themed entertainment company in the U.S. For the latest news and information about the Harlem Globetrotters, and to purchase tickets and team merchandise, visit the Globetrotters’ official Web site: www.harlemglobetrotters.com. You can also follow them here on Facebook, Twitter, Instagram and Subscribe on YouTube. March 26th, 2016 for the 7PM show! « Charlotte (& Surrounding Areas) Easter Egg Hunts & Family Activities! Fist Pump Your Way to The View! I would give the tickets to my sister who lives in Charlotte. She recently helped watched my boys while my husband and I enjoyed a kid-free weekend. It would be nice to surprise her with the tickets.